The 100% Egyptian cotton fabric is our perfect solution to luxurious and affordable bedding. The Cotton structure produces a soft, breathable weave that is stain and wrinkle resistant. The fully elasticized fitted sheet guarantees a secure fit on mattress depths up to 15 inches. 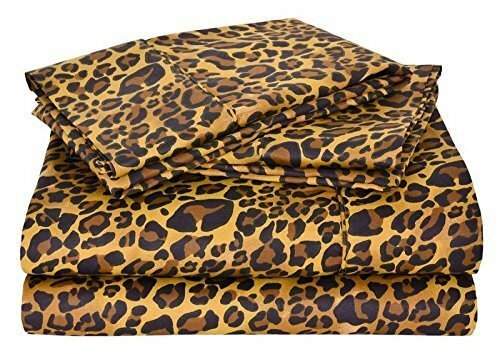 Sheet set is machine washable and tumble dry. Long-lasting: stitched tailoring is more durable and well keeps your Sheet Fine texture and sophisticated sewing give you perfect using experience. Available Product: Sheet set, Duvet set, Fitted Sheet, Flat Sheet, Pillowcases, Comforter, Quilt cover, Crib fitted sheet Spinach Duvet set. Available Size - 28"X75" Size. 30"X75" Size 32"X75" Size 42"X80" Size 48"X75" Size Twin Twin-XL Full Full-XL Queen Short Queen (60" x 75" Short Queen King RV King California King Short King etc. LUXURIOUS Sheet Set 15 inch deep pocket design in now with thicker. Each set includes 1 Qty flat sheet, 1 Qty fitted sheet and 2 Qty pillow cases. Twin XL Sheet set measuring : (1) Qty flat sheet 70"x105" inch , (1) Qty fitted sheet 39 X 80 inch with 15 Inch Drop , and (2) Qty pillow case 20 x 30-inch. Elastic all around for a perfect fit. If you have any questions about this product by Way Fair, contact us by completing and submitting the form below. If you are looking for a specif part number, please include it with your message.